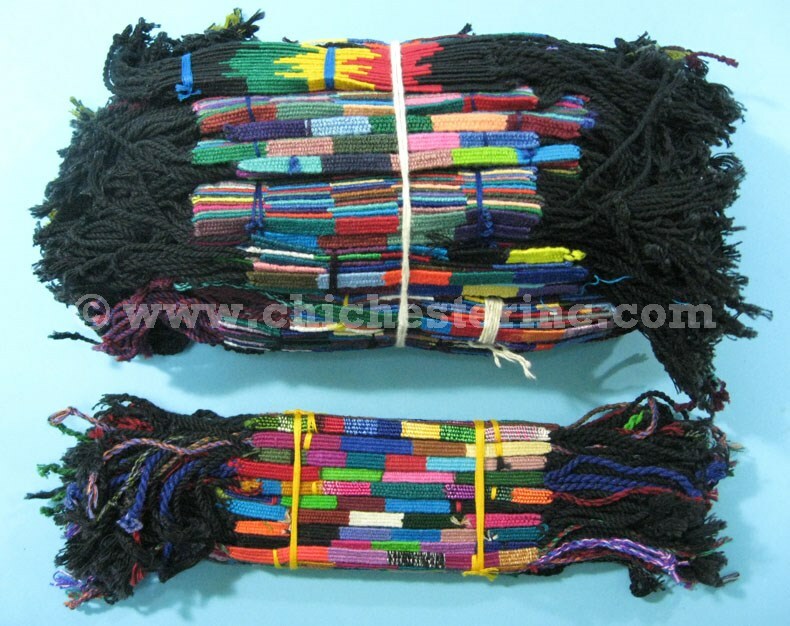 These cloth bracelets are available in assorted colors. 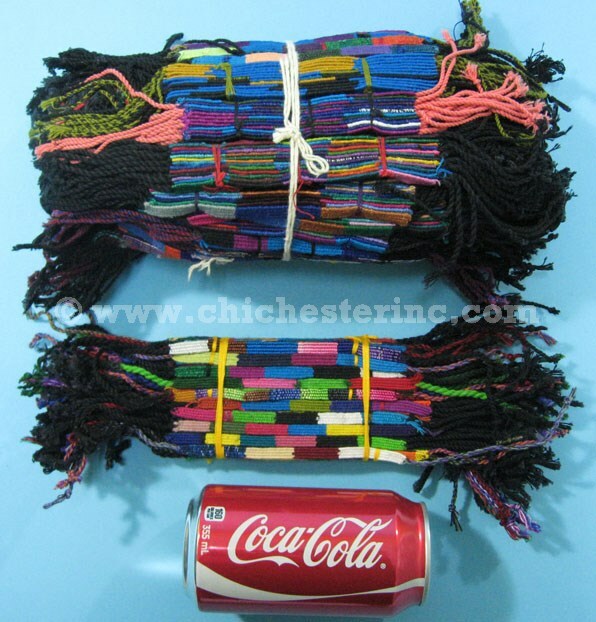 They are sold in bundles of 12 and 120 bracelets. The bracelets are 10.5" long including the tassels. They are 5" long not including the tassels. A 12-pack weighs 0.23 pounds. A 120-pack weighs 1.4 pounds.